Sanitary Filter - Texas Brewing Inc.
Sanitary Filter is perfect for aeration or oxygenation systems to filter out any contaminants. 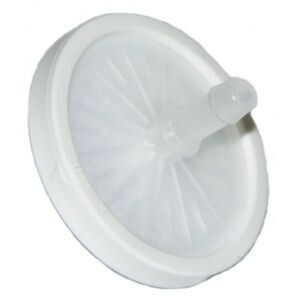 It is a small sanitary filter that filters down to .023 micron at 99.99% efficiency. This filter can also be used with beer engines that pump beer from casks, filtering the fresh air being displaced in the cask. There are two sides to the filter an "in" and an "out". The direction you use doesn't matter, however, you want to take note of which way you first push air through it and always keep it that way.